We are industry leaders in bespoke signage and creative services for business across the South West.  We offer a hugely diverse range of in house production abilities in the design, manufacture and installation of custom built, high quality signs, advertising and brand awareness products. We’re used to completing sometimes really large projects very quickly so please get in touch and we’ll advise you on how we can help. We offer a complete exterior and interior retail service for high street retailers and independent outlets, working in collaboration with store managers to ensure all works are completed efficiently, effectively and outside of operating hours where necessary. We cater for everyone, be it building conceptual products to empower brand values, or offering complete in store branding services for independent local outlets. We specialise in providing intuitive, high end solutions with outstanding finishing. Recommended Retail Products: 3D Built Up Lettering, Illuminated Products, Instore Media Walls, Interior Decor, Window Displays. We cater for all needs in the hospitality and entertainment industries, offering bespoke signage solutions for Hotels, Restaurants, Bars, Nightclubs, Fast Food Outlets and all providers in between. As well as manufacturing innovative, high impact, architectural and exterior products, we also offer handmade, traditional services. Including tailored key fobs and interior way finding, LED detailing and textured wall panels. We can manufacture entire frontages from any material you can think of. We provide a full spectrum creative service, from the ground up, and we love to innovate. Agriculture is at our heart in Devon, and we are proud to provide signage to the industry. For years we have been providing exhibitors of Devon County, Royal Cornwall and countless local agricultural shows with promotional signage, feather flags and tailored exhibition signage structures. We offer all these services to the industry and more, we do everything from fabricating totems and commercial signage for agricultural equipment dealers, to signwriting tractors, to printing supplier labels for machinery. We pride ourselves on excellence. That’s reliability of service, creativity of design, and quality of product. That’s why we constantly reinvest in our company to be able to manufacture everything in house. It gives us total control over our projects. 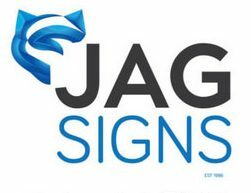 We manufacture only from superior materials, using both traditional and state of the art techniques, to ensure your signage is built STRONGER. If you have a project that’s a little bit different, we can make it for you. We offer conceptual signage prototyping, and we love to create new things. Get in touch and tell our team about it. We can fabricate 3D lettering and logos in Acrylic, Stainless Steel and Wood. 3D products can be internally illuminated, and/or, halo illuminated for extra impact in the evening, and a beautiful light effect in the day. We can pinfix or flush mount to almost any surface, internally or externally, or attach them to our Sign Trays. One of our most popular solutions. Cost effective, attractive and high impact at any size. Our signboards and trays can be print wrapped, signwritten, or built up with 3D shapes, they are great for fascias that extend around buildings, and can be tapered to face the street. A great solution for Retail Parks and large industrial complexes. We fabricate our monoliths to the highest specifications and we can incorporate 3D, illumination, digital media and bespoke shapes. We offer advice and facilitation on planning applications and our installation teams will carry out all on-site groundworks, prior to monolith erection. Our flexible faced signage systems are the most economical way to have massive signage coverage with no seams or joins. Popular in Retail Parks and Shopping Centres where branding and promotions are changing regularly, and need to be seen over huge distances. Once our framework is installed, we are able to interchange the skins as regularly as required, at minimal cost. Illuminated and non illuminated options available. We can cut letters and create designs using a variety of bespoke materials, our CNC and laser machinery literally have endless signage possibilities. We are able to texture face letters and build multiple layered products, ready for pinfixing, flush mounting or stand off fixing to surface or panels. We offer free advice and consultation on the right options for your project. We have a variety of attractive ways to illuminate your signage either internally or externally. We can build lightboxes with either internal fluorescent lighting or LED, and we can include illumination in our 3D built up letters. We offer modular lighting options and we can internally and architecturally detail in LED effects to feature your products or highlight your brand. We also offer bespoke neon solutions. Our LED and fluorescent modular lighting is the most cost effective way to give your signage visibility in low light and create attractive lighting effects when combined with our cut lettering products. We offer great uplighter and downlighter options, and we can create double sided lights for pole signs. Our lights can be built at any length, and are available in custom colours. We offer a full wayfinding development service, including audit and consultation, intuitive directional design, manufacture and installation. We are able to assist with planning, offering best advice on location and method. We have bespoke and modular methods of manufacture for both exterior and interior wayfinding projects, which we can tailor to your needs. We are able to fabricate static and swinging projecting signs in a number of ways with beautiful results. We can incorporate 3D features, internal or modular illumination, with our own bespoke brackets. We offer an unparalleled range of indoor signage services, bespoke to your needs. In addition to all our products above, we also use in house fabrication techniques to build attractive instore features, and create conceptual displays. Here are a few ideas of how to further enhance your instore presence but please get in touch with your ideas and we can work together to create something special. One of our newest product additions, we use CNC routing and laser techniques to create bespoke 3D feature walls from foamex and hardwood. We can incorporate logos and lettering, messages to your clients and increase brand awareness throughout your stores. We are also able to add LED decoration. Create an interior feature wall with our printed wallpaper. An excellent, cost effective method for brightening up dull interiors and promoting brand values instore. Our design team can create custom illustrated designs, incorporate stock or your own photography and we can print at any size. We offer installation as standard. Our heavy duty, full colour printed floor graphics can be printed at any size and applied to any hard flooring, including concrete. Popular in the retail sector, particularly in department stores for guiding customers, and launching new product lines. We are able to offer semi-permanent options for temporary promotions and POS, or heavy duty options for long term use in areas of high footfall. We offer instore signage options for ever changing shopping and commercial environments. We can fabricate attractive interchangeable plaques and interior signage in a variety of ways. One of our most popular products, our flame polished acrylic panels are reverse mounted with prints to create an ultra high gloss effect. Available in a variety of thicknesses in bespoke shapes and sizes. We mount these panels on stand-off locators to accentuate design. We are a major signage provider for UK construction firms, offering complete project management, installation solutions and maintenance contracts for large development sites. Our fitters are CSCS accredited and experienced in completing large and often complex signage installations in active construction environments. We are able to facilitate planning applications and effectively manage sub-contractors to achieve high quality installations within development deadlines. We can manufacture high volumes of signage quickly and provide in house storage for the recycling of hoarding panels for new developments. We are also industry leaders in heavy plant and commercial vehicle fleet signage. We offer comprehensive services to all industries and trades, manufacturing and installing high impact signage solutions for retail parks, industrial complexes, factories and offices. We are able to advise on and facilitate planning applications for major signage works, and deliver services in a way that offers minimal disruption to core business activities.